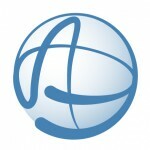 The strategic alliance profession is growing and ASAP is the leading association in the field. Their role is to promote the profession and the discipline of alliances, partnerships and channel development. The profession is relatively recent in the business world and the emergence of executives with titles such as Chief Alliance Officer, Alliance Director or Partner Manager are cropping up more frequently in resumes and professional profiles. What is a strategic alliance professional? What are their backgrounds and value add to their organizations? ASAP provides an excellent platform for alliance professionals to share best practices and grow the profession. The Association organizes global summits and local chapter meetings, practioner documentation and conferences, certifications and a true trade association framework. The real work lies ahead as new ways of working, organizational (re)designs, configurations of new sales models and go-to-market strategies are all in gestation as it relates to strategic alliances and the profession.